I love buttered popcorn, but sometimes you just get tired of the same flavor over and over again. While searching for ways to make my nighttime snack a little more tasty, I ran into some interesting flavors. Here are 5 recipes that are sure to please your tastebuds. 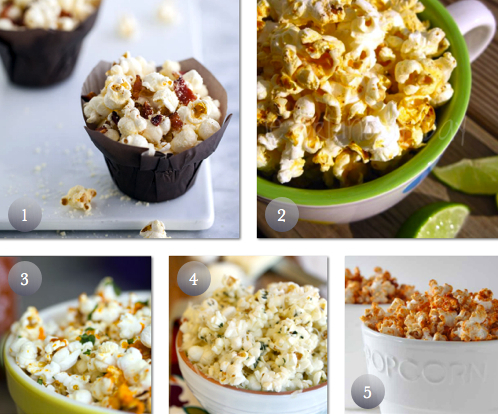 I am definitely trying the chili-lime popcorn very soon! I am a stay at home mom, just trying to keep life interesting! Follow me on my journey with crafts, D-I-Y projects, recipes and more!